Do you wear sun cream in winter? No? You should start. Did you know that UV rays account for up to 90% of all wrinkles? And did you know that the sun is closest to the earth in the winter months, … and that the natural thinning of the ozone that happens when it’s colder lets more harmful UVB rays down to the ground? UVA rays, on the other side, stay just as strong in winter as in mid-summer. 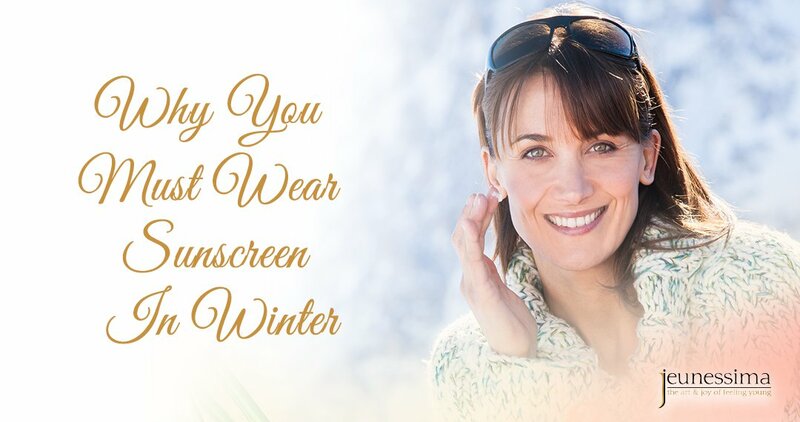 As it is primarily the UVA rays that break down your collagen and also play a role in skin cancer, you need to protect yourself against them year round. But that is not all. When the harsh dry winds of winter give you windburn, your skin is actually at its weakest and most vulnerable to UV damage. Isn't it ironic that on the days where your skin is burning with the coldest wind, it is most likely to be burning with the sun too, as weak as that sun may feel? And that lovely crunchy white snow you’re walking on under clear blue skies? As beautiful as it is, it is reflecting 80% of the UV rays right back up at you. Yes, you absorb the rays when they hit you from the sky, and then again when they bounce off the white ground. This snow effect is even worse at altitude. UV exposure increases 5% with every 1,000 feet that you climb above sea level. The Arapahoe Basin Ski Resort in Colorado, for instance, has a top elevation of 13,050 feet. That’s a lot of UV radiation … which probably explains why people who do alpine sports are proven to have a greater occurrence of squamous cell carcinoma. So, no snow and mountains in your winter? Just gray clouds and city skylines? Unfortunately, even that is not safe: 80% of sun rays pass through clouds still hitting your skin. So all of this points to only one message: No matter whether it’s summer or winter, get the sun cream on! You might have heard that the chemicals in sunscreen are being absorbed by your body causing damage. There’s good reason to be concerned as there’s a whole host of hormone disruptors and allergens in traditional chemical sunscreens. Luckily, there are mineral sunscreens on the market, which aren’t absorbed by the body, don’t disrupt the hormones, are non-allergenic … and best of all … are extremely effective! Look at the Environmental Working Group’s (EWG) exhaustive list of sun products to consider buying or avoiding. Some people say that they don’t wear sunscreen in the winter because they need to get their vitamin D.
We wholeheartedly agree with that sentiment as Vitamin D is crucial for your health and longevity. And … it is very joyful to luxuriate in a warm patch of sun in the winter months. However, you don’t need a tremendous amount of sunshine for adequate vitamin D intake: Just 20 minutes in summer and 2-3 hours a week in winter are recommended. Also, you still absorb some (although lower levels) of vitamin D when wearing sunscreen giving you a splendid excuse to dally in that patch of sun a little longer! If you are concerned about your Vitamin D levels getting low in the colder months, you could take Vitamin D supplements. Or simply stock up your levels with delicious salmon, eggs and mushrooms. While we’re talking food, you can keep yourself young and healthy with foods rich in antioxidants. Antioxidants have been proven effective in combating skin damage from the sun and they act against free radicals causing cancer. So eat plenty of berries, artichokes, beans and nuts, and drink green tea … all wonderful sources of antioxidants. 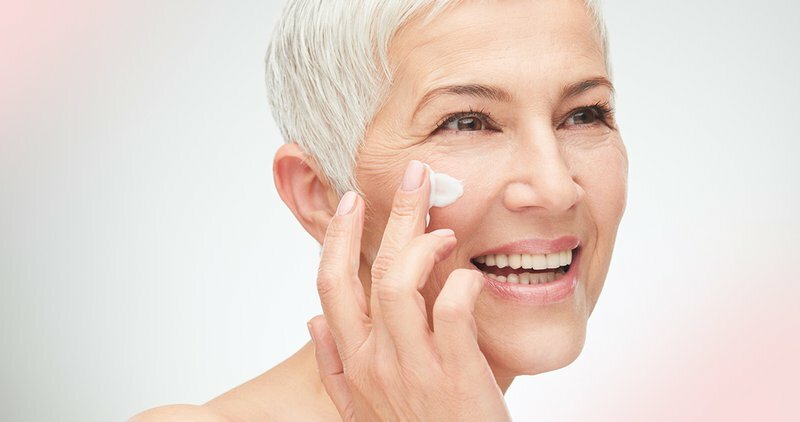 It’s easy to make sure that you aren’t adding to your stock of wrinkles and sun damage this winter. Put broad spectrum sun cream on, drink lots of water and eat antioxidant rich foods … and find a nice warm patch of sun to luxuriate in.